Honda has made a big deal of its unique shaft drive on the VFR – but the initial information didn’t explain exactly how it works or why it’s better. MCN has clarified the advantages of the design – here’s our breakdown of how it works and why it’s better. Traditional shaft drives have the shaft running from the swingarm pivot point to the rear wheel hub. This mean that the shaft is a constant length as the swingarm moves up and down, allowing free movement. The downside is that the swingarm pivot bolt can’t pass through both sides of the swingarm and frame, which compromises rigidity. 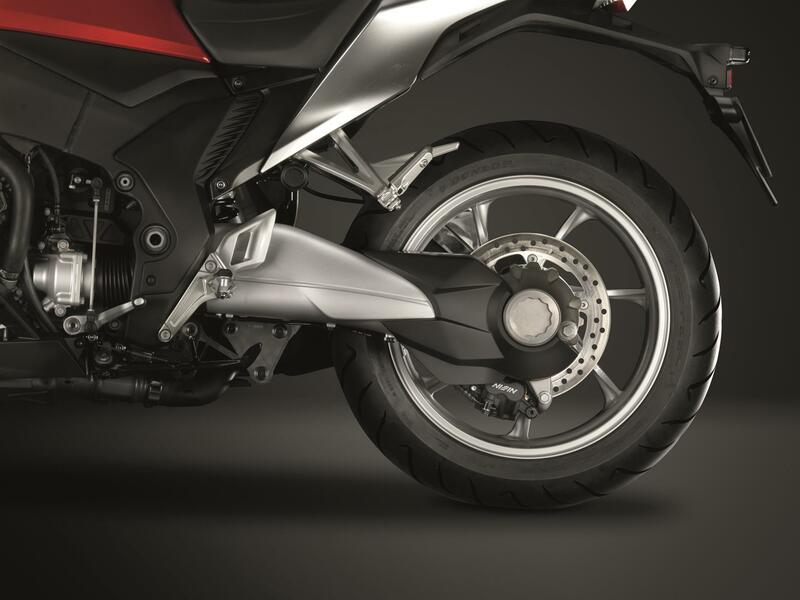 Honda’s system uses a swingarm pivot system like a chain drive bike – the swingarm is bolted right through the frame, which gives a rigid mounting for better handling. The shaft drive runs underneath. Usually this would prevent movement (imagine strapping a bar along the outside of your arm and trying to bend your elbow), but Honda use a two-part shaft connected by a spline that allows the drive shaft to lengthen without impeding swingarm movement.